Western Center Academy aviation lab teacher Christopher Read remains optimistic that his weather balloon equipment will be in good shape even though he can’t recover the devices from Joshua National Park until the federal government shutdown ends. 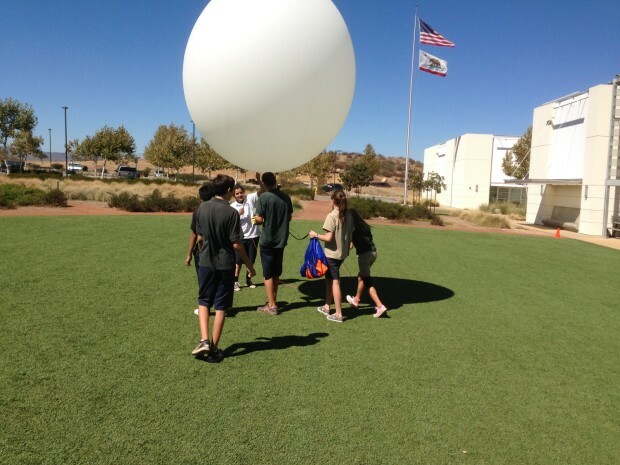 Students at the Hemet Unified School District’s charter school in the Western Science Center museum by Diamond Valley Lake launched the balloon Oct. 1, the day the shutdown due lack of a federal budget began. The balloon rose to more than 100,000 feet, recording weather information along the way. As carefully planned, it exploded as the balloon expanded at high altitude, a parachute deployed and it returned to earth. A GPS transmitter let the students know precisely where it landed in Joshua Tree National Park, which was about three miles off a road in the rugged desert. Read drove to the High Desert and was prepared for a cross-country adventure to make a recovery, but was turned away because the park was closed. The GPS no longer is transmitting. Read, a seventh-grade English teacher at the science-based middle school, hopes to recover the equipment in good shape. Three more balloon launches are scheduled this year. The data equipment is worth about $1.000. “I’m assuming it’s still resting comfortably close to where it landed,” he wrote. “Our only exposed piece is the lens of the HD video camera. Everything else is fairly well protected from the elements inside the payload box. The camera is about $150, so that will be our max loss if we are able to retrieve everything else.